Russian citizen was sentenced to nine years for the creation of malware used for stealing funds from individuals and financial institutions. Russian citizen Alexei Panin, 27, sentenced by a U.S. court to nine years in jail on April 20 for the creation of malware for stealing money from individuals and companies, will be released in five plus years, lawyer Arkady Bukh told Interfax on April 21. "His outstanding time is slightly more than five years: the court has taken into account the three years he spent in jail awaiting his sentence," the lawyer said. The convicted Russian has yet to decide whether he will appeal his sentence, the lawyer said. "We are happy with the sentence, in general. The attorney's office insisted at first that the damage exceeded $1 billion. Such damage is punishable with lifetime imprisonment," Bukh said. "It cost over $1 billion to clear computers of viruses; and how many credit cards have been stolen?" He added that the appeal might be filed after all, within the 14-day period assigned by U.S. laws. Panin's partial admission to causing $50 million in damage significantly reduced his sentence, the lawyer said. His accomplice, Algerian citizen Hamza Bendelladj, refused to acknowledge the scope of damage, which, in the opinion of Bukh, resulted in his longer sentence of 15 years. Panin was arrested at Atlanta airport in 2013. According to materials in the proceeding, the SpyEye virus created by the Russian programmer was used on more than 50 million computers worldwide. 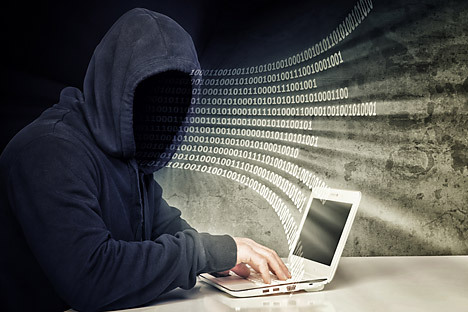 The programmer sold his software to hackers online.